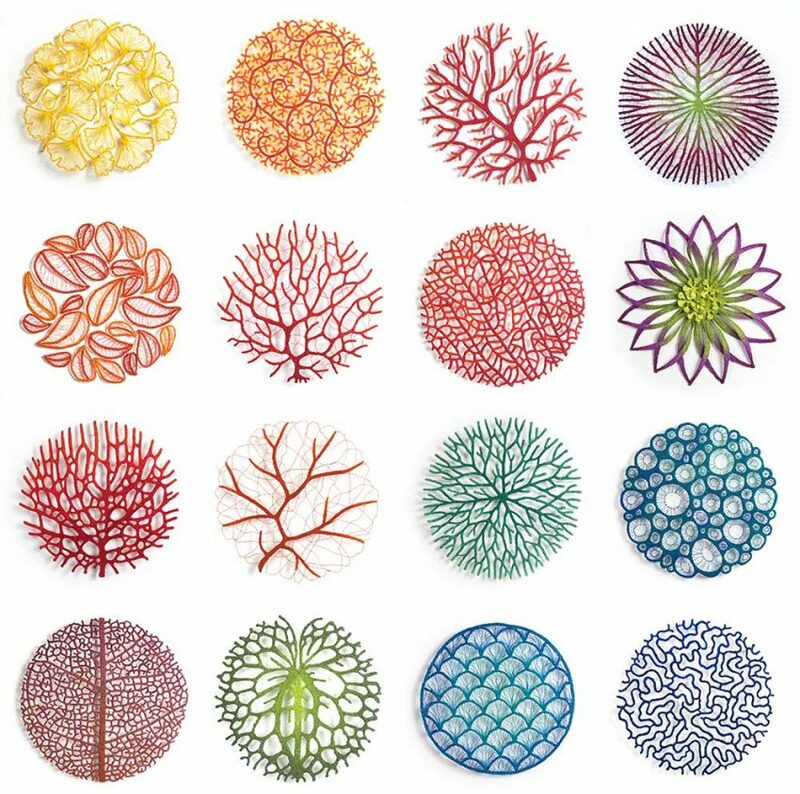 Textile art is such a specialized talent, and Australian artist Meredith Woolnough is at the top of the rank. 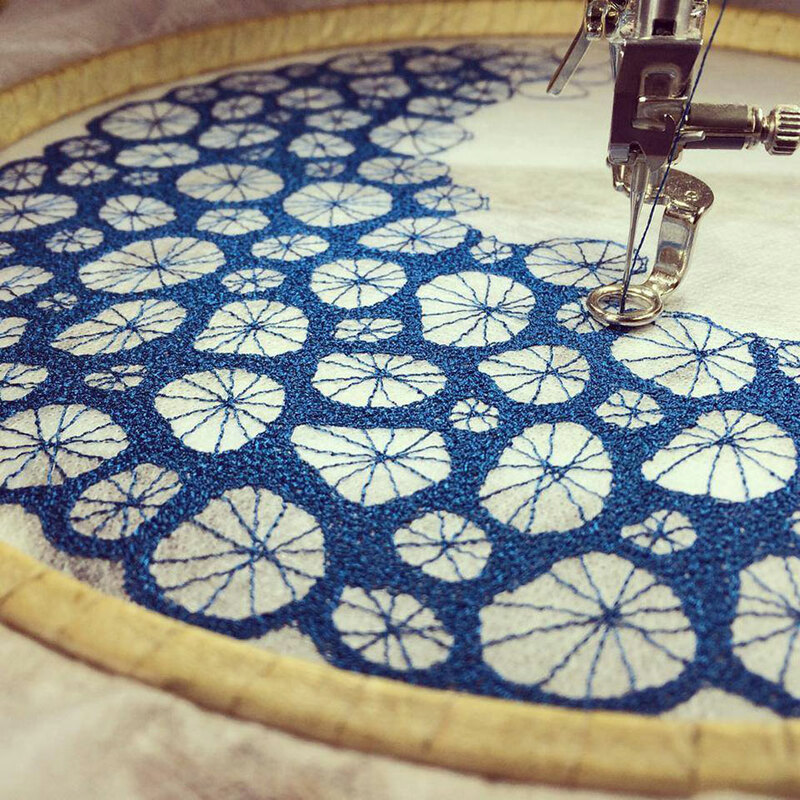 Her elegant embroidered traceries capture the delicate beauty of nature in knotted embroidery threads. 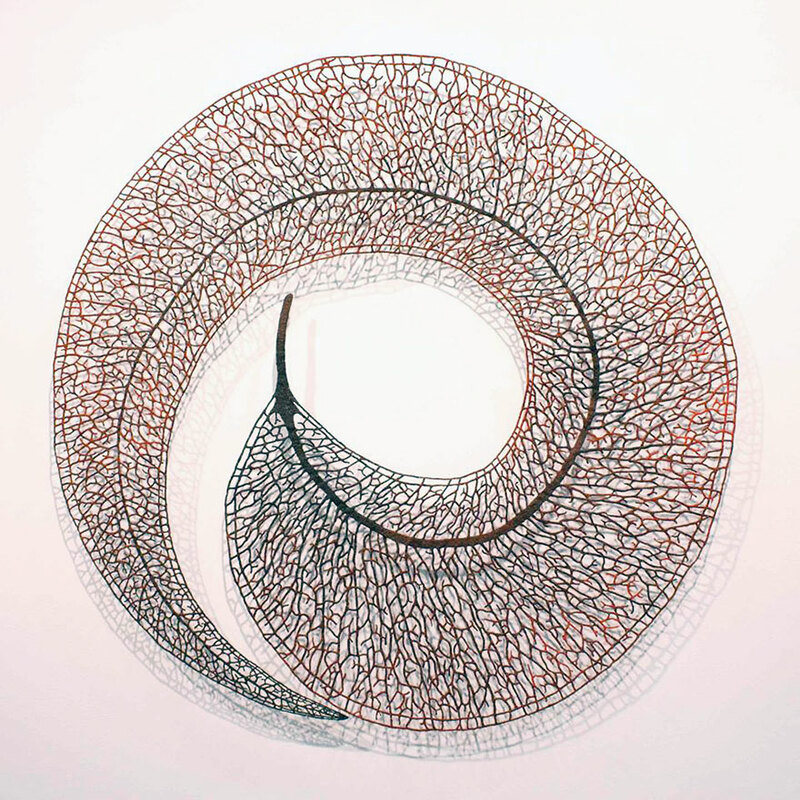 Through a system of tiny stitches, she creates intricate and complex openwork compositions that have gained her international acclaim. 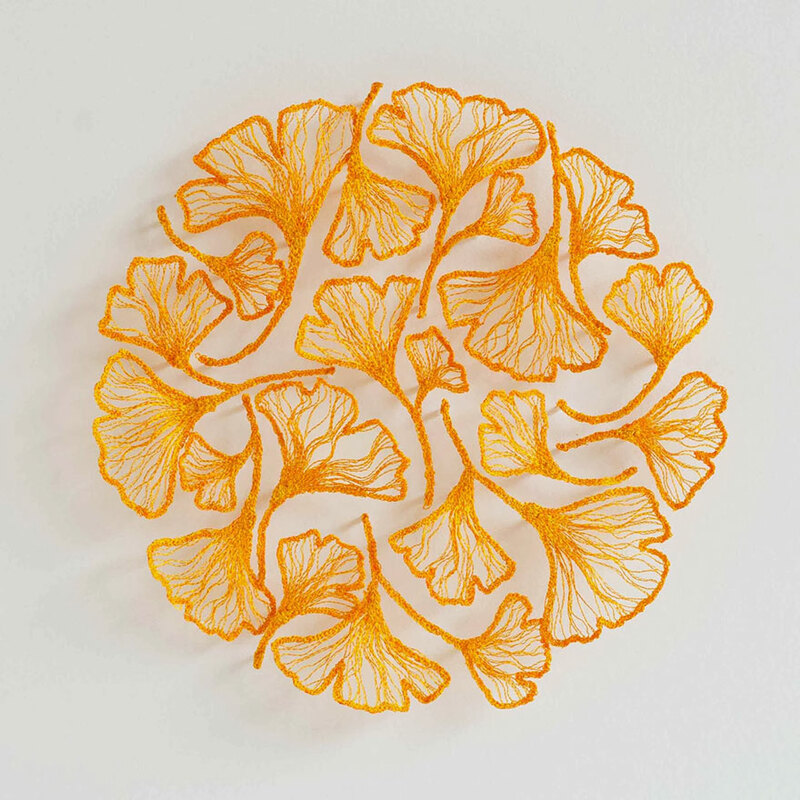 Her practice engages with the natural environment using the skeletal frameworks of flora and fauna as the basis of her own embroidered specimens. 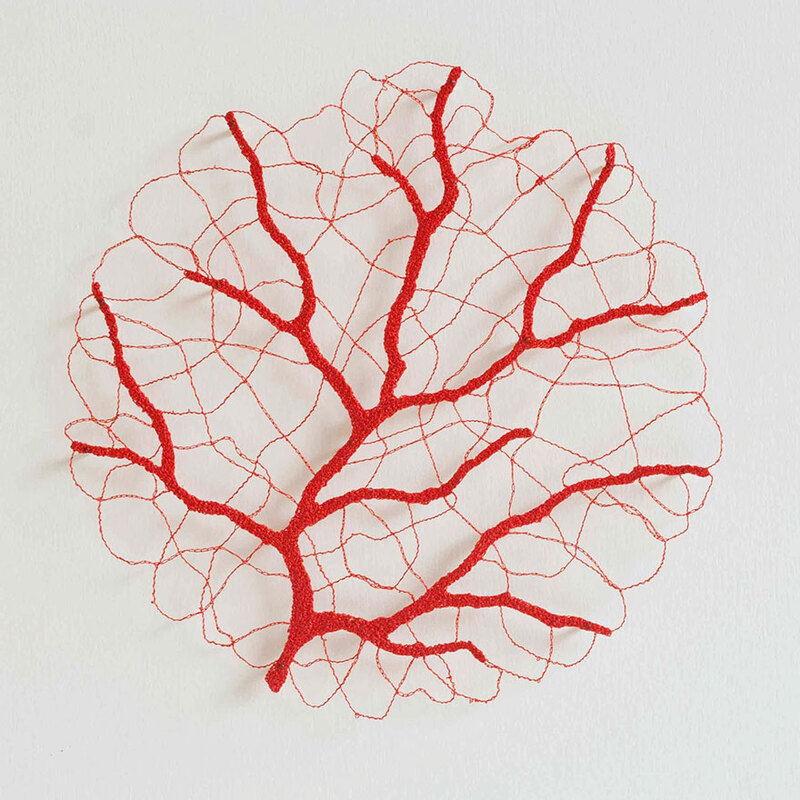 Threads are densely stitched into freeform sculptures that are carefully pinned to paper or set in resin preserving them as delicate handmade artefacts. I adore this on so many levels! I love natural things, and especially things that form circles or orbs. I want a new tattoo now with one of these designs! I also admire textile art, and enjoyed seeing related exhibitions quite frequently at the Textile Museum while living in Toronto, but haven’t spotted quite as many opportunities here in Vancouver. Thanks for showing us this work, and providing the link.